Home Video Poch disappointed but not given up hope – Have you? 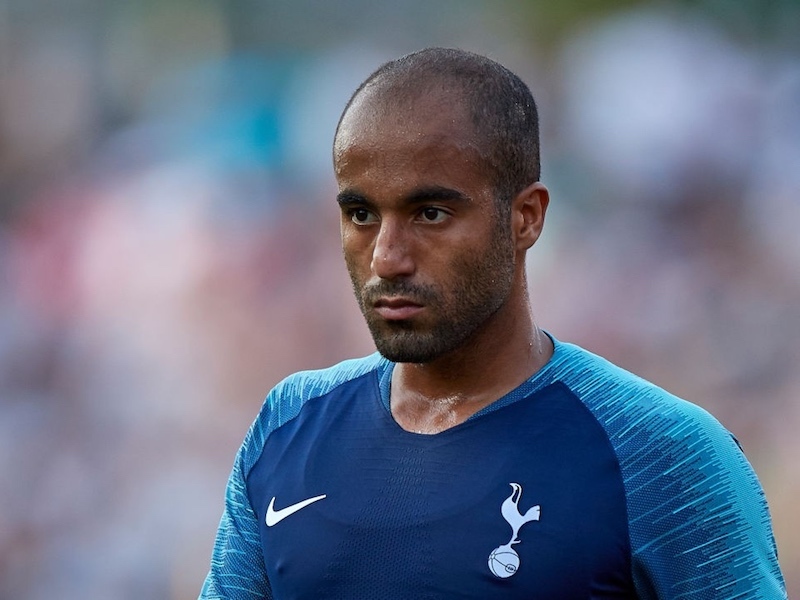 Poch disappointed but not given up hope – Have you? After the 3-0 defeat to Manchester United, Mauricio Pochettio tried to stay positive. In his post-match interview he claimed that “all is possible” but conceded that Champions League qualification would now be very difficult. Of course, Spurs are mathematically still in the chase and only have two fixtures against their rivals for a top four spot – Southampton and Manchester City. However, the thrashing by United highlighted some of the glaring issues with what is a young and inexperienced squad. It’s difficult to think that Pochettino’s side won’t slip up again at some point, while other teams such as Arsenal, Liverpool and Manchester United are in much better form. I am a Spurs fan but in all honesty they have absolutely no chance of a top four finish. With some luck they could finish 7th. Simply not good enough. Poch needs a plan B. He has proved his plan A works,”high press, high line of defense, heavy volume of attempts on goal. It works but what if the other team can counter those tactics, win the midfield battle of control and get the ball in behind the high line. We have to have a plan B. Plan B being get a New defense. The PL is unpredictable but, yes, I have given up hope of a top 4 place. But still it’s been a decent 1st season for Pochettino: we got to a cup final; we whipped Chelsea at last in the league – really hammered them; and also beat Arsenal; we’ve seen some of our young players really come on (Bentaleb’s slip-up in midfield that led to the 3rd Man U goal notwithstanding); there are other splendid prospects out on loan, and others hopefully about to put Chelsea’s youngsters to the sword in the 2nd leg of the FA Youth Cup. As for the near future, we’ll attract other top young players who’ll be encouraged by the club’s willingness to give those that make the grade every chance of attaining first team status; they and the rest of our players will be able to develop in some of the finest training facilities in the world; and the new ground is finally full-speed ahead. Finishing as a top 4!!! you must be joking, we are a very poor side, badly run from the top through the club. Let Levy go please. Please Mr. Levy sell the club to someone who cares about our beloved Tottenham. You certainly don’t !! What a shocking display against Man U. If a manager cant fire his players for a game like that then hes useless. This weekend Man U came out all guns blazing. Arsenal even playing poorly still showed fight to beat a middle of the table WHU. Southampton gave a 100% and picked up an unlikely point at Stamford Bridge. Even Liverpool tonight battled for a 1-0 win at Swansea. AND SPURS DIDNT EVEN WORK A SWEAT!!! Just shocking. My only hope hope is we get beat by the bottom club at the weekend and finish at least 7th and not qualify for the Europa. Another poor season. The kids are not ready, sell the rubbish we bought and start again or in 3 years we will have new stadium we cant fill!!!! Still knocking levy new training facilities, new stadium on the way, been in Europe for a number of years, quality young players in all age groups, good young manager, competing with clubs whose budgets dwarf ours. We are not that poor dickwad. Man utd have spent around 350,million . We thrashed Chavski and smashed Arsenal..so have a word wit that small brain cell of yours or jog on you negative wanker….the only thing poor round here is your finances and probably your brain. One caveat though: agree that Poch needs a plan B. That high line gives me the willies at times, especially as our central defenders are not the quickest – one slip, or one canny ball through the lines or over the top, and we are too often easily exposed. Also, when not making much headway against well marshalled defences, we should switch to our right and left-footed wide attackers playing on corresponding sides of the field in conventional winger roles. United were the better team on the day,we made our usual give away mistakes.Of which we have been guilty of all season.Just look at our defensive record too date.Its bloody awlful,for a team wanting a top four spot.Until we eliminate at least 50%.,of these errors,we are always going to going to be the bridesmaid.Hopefully Levy will let Pooch bring in some of the players,that he wants at the club,and passs on some of the over rated ones we have at present.Rose comes too mind,although he is not the only one.We do have a core of really good players,and some really good yougsters coming through.Hopefully Levy will keep out of things player wise,and allow one of our managers,to actually put his imprint on the team.